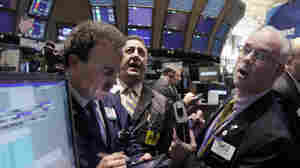 November 30, 2011  Leading central banks around the world took coordinated moves Wednesday to provide more liquidity in the global financial system and calm rising fears in Europe over access to credit. As Europe's sovereign debt crisis worsens, bank lending has tightened, and nervous investors are reluctant to make loans to European banks. November 30, 2011  Elvis Costello's box set includes three CDs, a vinyl record and a coffee table book. To get all this, however, you are asked to pay $225. Costello seems to be shocked. On a website, he declares, "we are unable to recommend this lovely item as the price appears to be either a misprint or a satire." November 30, 2011  The wide-ranging inquiry into criminal abuses by the British press has led to testimony about relationships and careers damaged by tabloid excess. Newspapers owned by Rupert Murdoch's News Corp. are at the heart of the scandal. A former features editor for one of those papers stole the show at Tuesday's hearing. November 30, 2011  AT&T may have suffered another setback to its proposed $39 billion merger with rival wireless company T-Mobile. The FCC on Tuesday released a detailed analysis of its reasons for opposing the deal, contrary to AT&T's wishes. November 30, 2011  The fair trade movement, which pays premiums to farmers in developing countries for meeting social and environmental standards, is growing quickly and contentiously. 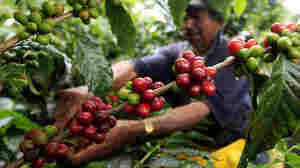 The nation's largest fair trade certifying agency has split from its international partner, hoping to expand the program to plantation-grown coffee. Some coffee sellers say the agency is just lowering standards to benefit corporate coffee companies. November 30, 2011  The historic brand is made for customers who can shell out $400,000 for a car, and who appreciate touches like back seats that recline, laser-engraved motifs in the armrest and black lacquer trim. Daimler only sold about 200 of the cars last year, compared to several thousand by competitors Bentley and Rolls Royce. November 30, 2011  Dec. 2 marks the 10-year anniversary of when energy giant Enron filed for bankruptcy. The next day, thousands of workers in the company's Houston headquarters lost their jobs. How has the city coped with company's demise? November 30, 2011  A judge in Australia has given Samsung permission to sell its Galaxy tablet computers there — just in time for holiday shopping. Apple accuses Samsung of copying key features of the iPad and iPhone, and has been trying to block Samsung from selling versions of those devices.